StorQuest Self Storage in La Mesa, California, has the space and features for all of your storage needs. Make move-in day a breeze with ground-floor units and complimentary use of our dollies and carts. You’ll also find all the moving and packing supplies you need right in our office – how’s that for convenient? We also offer month-to-month lease options and online bill pay so you never have to worry about going out of your way to pay a bill. Spend your time making room for awesome – let us handle the logistics. Our on-site manager can help with anything you need. They’re just an ask away. We pride ourselves on the service we provide our customers – and the convenience and time we save too. Are you a business owner and need to store important documents or files? 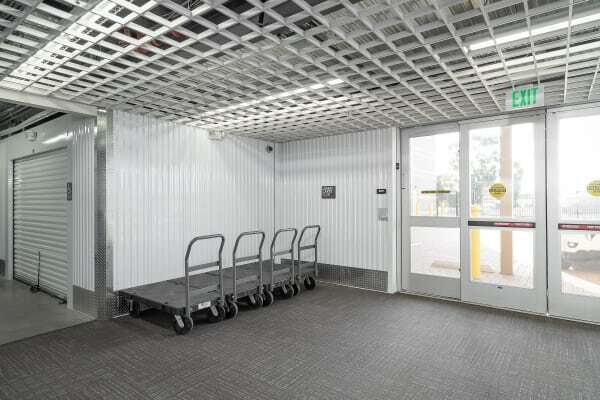 Our climate-controlled units will keep them in excellent condition. Need a special package delivered directly to your unit? We’ll handle accepting packages on your behalf. Also, leave your unit with the peace of mind knowing that our facility is fenced and well lit, with electronic gate access. Contact our office to learn more about month-to-month options and high-quality storage features in La Mesa, CA. Let’s get you started.